How to Transfer Photos from LG to Computer or Mac? Home> Resource> Android Backup> How to Transfer Photos from LG to Computer or Mac? "A friend of mine is crazy about photography and she has taken a large number of photos with her phone. She says her LG smart phone is quite convenient and she takes it with her everywhere she goes so she can take photos whenever she wants. But with more and more pictures are saved in her smart phone, less space can be used. So she wants to transfer photos from LG to computer to release the storage. However, she has no idea of the solution. Hence, I post the question in this forum to collect the possible methods. Would you like to help her sync the photos from LG device to computer? Thank you very much." Whether you like taking photos or not, there is no denying that photos represents a certain memory of your life. People and scenery are the most important parts of the pictures. Some can remind you of special moments; some can be the comfort when you're beaten by failure. In a word, photos play an important role in people's life and work. Usually, you will be noticed that the storage of your smart phone is not enough and you should clear some data. For those pictures which have meaningful effects, you wouldn't want to delete. The safest way is to transfer them to computer as backup. How to transfer photos from LG to computer, to be exact? Fortunately, this article is written for users who want to sync LG photos to PC. In the rest of this page, we'll kindly recommend a professional program which empowers you to manage the transmission part. The detailed instructions will be in the following chapter. Let's begin to see how to transfer photos from LG to computer together. Question: How to recover lost photos from LG smart phone quickly? As to transfer photos from LG smart phone to computer, you can turn to this MobiKin LG Photo Assistant (Windows & Mac) software for help. It allows you to transfer photos from LG to PC as well as music, photos, contacts, videos and apps, etc. Now you're recommended to download the Windows version. For Mac users you can switch to Mac version instead. MobiKin LG Photo Assistant is a professional transfer program used to transfer photos from LG devices to computer. 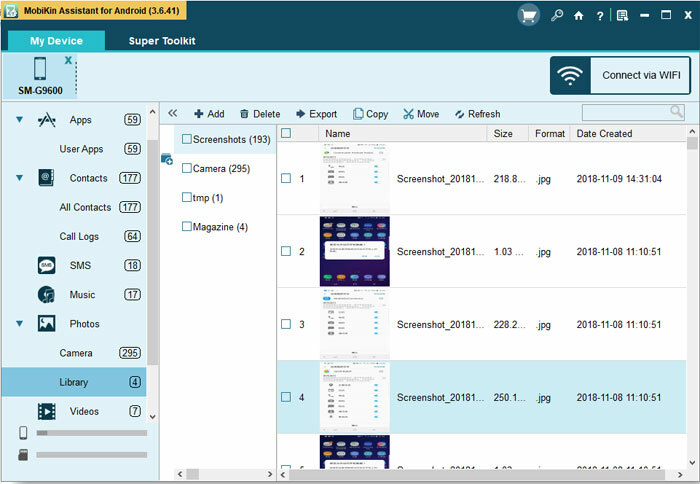 At the same time, other data can also be copied between LG and computer. And all Android phones can be supported by the software. Launch the program on your computer and enable USB debugging. If you have enabled USB debugging already, you can skip this step. 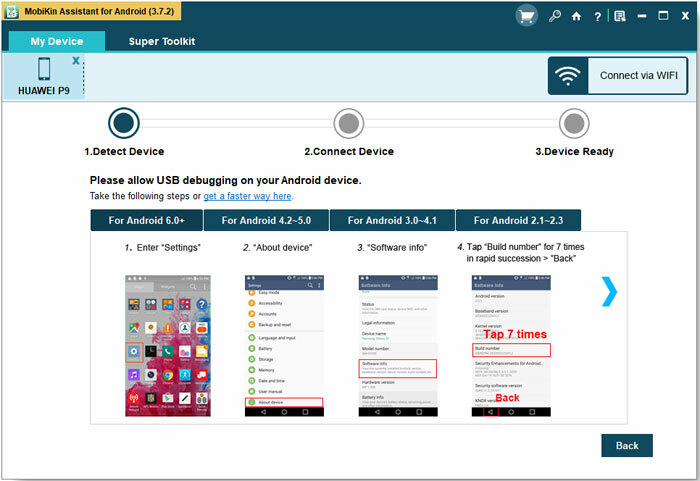 1) For Android 2.3 or earlier: Go to "Settings" < Click "Applications" < Click "Development" < Check "USB debugging". 2) For Android 3.0 to 4.1: Go to "Settings" < Click "Developer options" < Check "USB debugging". 3) For Android 4.2 or newer: Go to "Settings" < Click "About Phone" < Tap "Build number" for several times until getting a note "You are under developer mode" < Back to "Settings" < Click "Developer options" < Check "USB debugging". Tick "USB debugging opened" and click "Next" to install USB driver on your computer. When the installation of the USB driver is completed, you can move on to the next step. 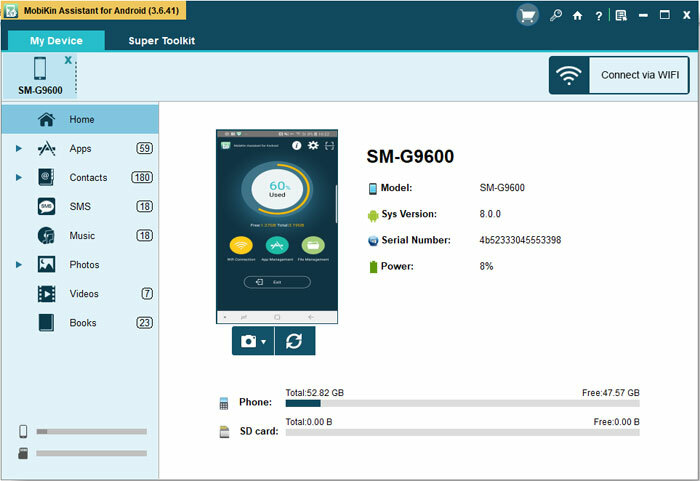 When the program stops detecting your LG phone, it will show the basic information such as the model, system version, storage and the categories on the main interface like this. You can preview them on the picture beside. The categories of the data are on top of the window. Since you want to transfer photos from LG to computer, you can choose the "Photo" file from the folders. Then from the pictures on teh right panel, mark those you need to copy and click "Export" to begin the transferring process. In addition to photos, you can sync other data like music, apps, contacts, files, books and videos with the same steps. How to Print from an Android Phone with Ease? 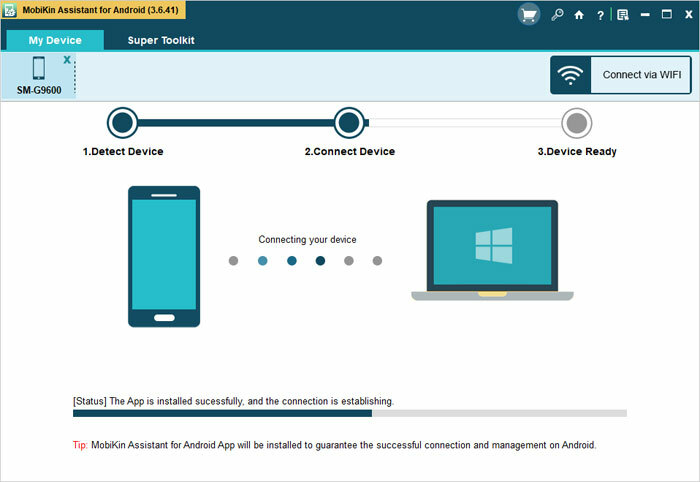 How to Fully Control Your Android from PC? User Guide: How to Delete Music from Android Phone/Tablet Effectively? [Specific Introduction] How to Use Google Drive on Android & PC?